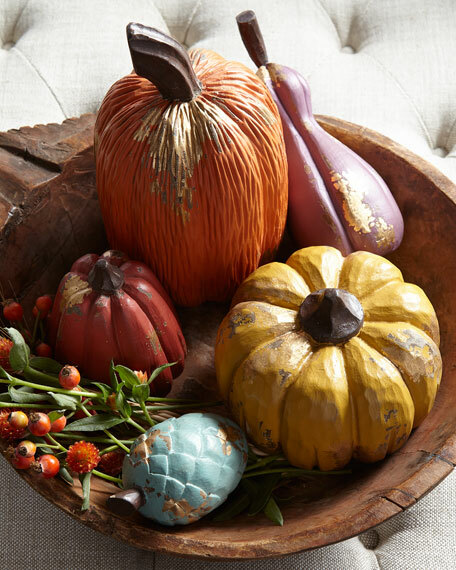 Set of five handcrafted painted pumpkins. Dimensions: 6"Dia. x 10.75"T; 7"Dia. x 5"T; 4"Dia. x 9"T; 4"Dia. x 7.25"T; 2.75"Dia. x 4"T.